1. Postcard of Elevations Between Grafton and Romney on US Route 50 in W. Va.
Postcard of Elevations Between Grafton and Romney on US Route 50 in W. Va.
Mountains on U.S. 50, also known as Old Northwestern Turn Pike. 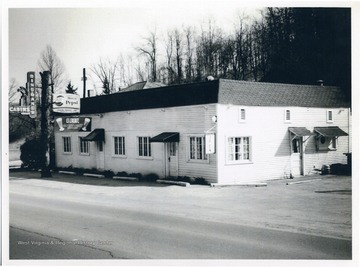 The postcard has an advertisement for DeLancey's Restaurant in Grafton. 2. Route 50, Bridgeport, W. Va.
Route 50, Bridgeport, W. Va.
A view of the route 50 in Bridgeport, W. Va. looking East. 3. 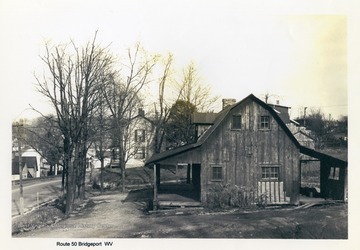 Green Parrot, Bridgeport, W. Va.
Green Parrot, Bridgeport, W. Va.
Pete Hall built Green Parrot and a house in the back; it was located on the State Route 50, Bridgeport, W. Va..
4. 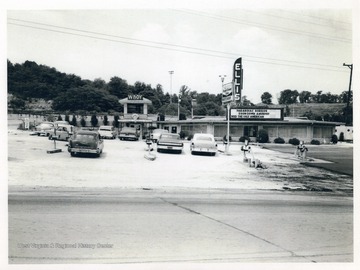 Ellis Restaurant and Drive-In, Bridgeport, W. Va.
Ellis Restaurant and Drive-In, Bridgeport, W. Va.
A view of Ellis Drive-In Theater and Restaurant on State Route 50. Sky Castle is in background. 5. Lowes Grocery and Gas Station, Bridgeport, W. Va.
Lowes Grocery and Gas Station, Bridgeport, W. Va. 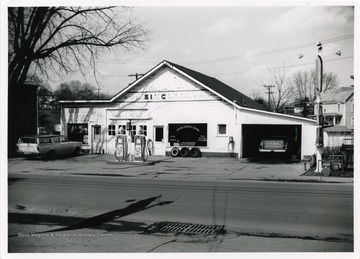 It is located on the corner of Route 50 and 73, across from the corner of Russell Sinclair and 5th street. 6. Gas Station, Bridgeport, W. Va.
Gas Station, Bridgeport, W. Va.
A gas station on State Route 50 in Bridgeport, W. Va.
7. J. C. Johnson Residence, Bridgeport, W. Va.
J. C. Johnson Residence, Bridgeport, W. Va. 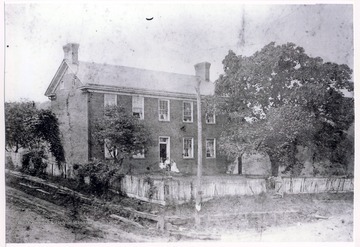 The house is on the corner of Virginia Avenue and Route 50. 8. 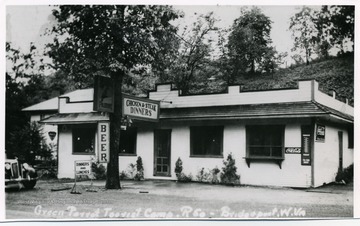 Green Parrot, Bridgeport, W. Va.
Green Parrot was located on Route 50. 9. Tollgate Historic Marker on U. S. Route 50 in Ritchie County, W. Va.
Tollgate Historic Marker on U. S. Route 50 in Ritchie County, W. Va.
"Tollgate--The Northwestern Turnpike, a favorite project of George Washington, opened in 1838. 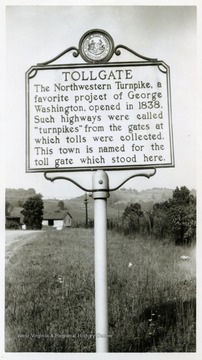 Such highways were called "turnpikes" from the gates at which tolls were collected. This town is named for the toll gate which stood here." 10. 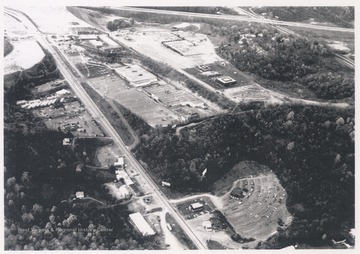 Aerial View of Hill's Plaza and Gabriel's Plaza on Route 50, Bridgeport, W. Va.
Aerial View of Hill's Plaza and Gabriel's Plaza on Route 50, Bridgeport, W. Va.
Hill's Plaza is seen around the center left and the Gabriel's Plaza is just above it; the Interstate 79 runs across the top. 11. 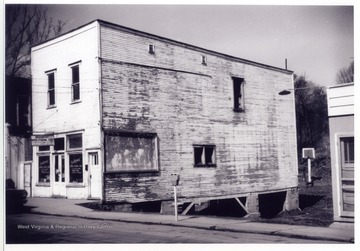 Pure Oil Station, Bridgeport, W. Va. 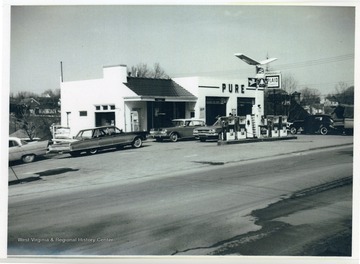 Pure Oil Station, Bridgeport, W. Va. 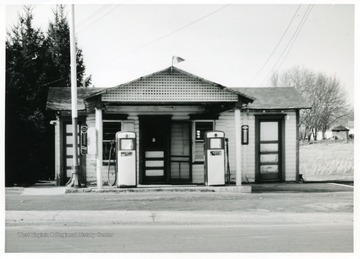 The Pure Oil Station on the corner of Rt. 50 and Virginia Avenue. 12. Bridgeport Upholstery Shop, Harrison County, W. Va.
Bridgeport Upholstery Shop, Harrison County, W. Va. The upholstery shop owned by brothers, Keith, Gerald and Drexell Armentrout was located on r RD 1 near RT 50. The site was occupied by Benny's Boot Hill in later years.